In 2012 I had been on one month business trip to Edmonton (Canada) where I had a basic Instrumentation course. My career had been at the starting point so I was learning valves, controllers, pumps etc. by actually working at the assembly line at CVS Controls. From 8:00 to 16:30 – 5 days a week. At the end of my working day I wondered around local groceries shops, then headed home to cook dinner. Staying in the apartment alone was a bit boring… So I tried to entertain myself by watching movies on a tiny 3.5” screen of my iPhone 4S… Yes, at that time it was a “top of the range” phone and I really loved it. 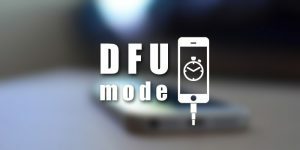 Now let’s get back to the topic… Today I want to share with you three of my favorite methods of watching movies on iPhone. I do it occasionally while traveling, thus not using any subscription services. 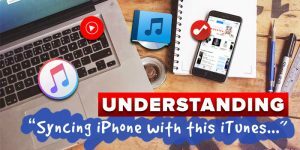 That means in this article I only mention FREE ways of getting video content on your iPhone. First two methods don’t require internet connection, but for the last one – it’s a must. I don’t want to confuse anyone by saying “bla-bla-bla, internet is not required…” You have to understand that you have to get a movie file first, most likely download it from internet. Then copy it to iPhone. Only after you can watch it in offline mode on your iPhone. Think about this! Yes, that’s right! 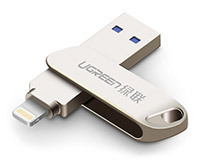 The most convenient way to play video content on your iPhone is by using a special Flash Drive with Ligtning connector. Having such a Flash Drive will save your time and head ache of converting video files. To be honest this is my favorite way to watch movies on iPhone thus I use it in 90% of all times. The idea of this method is very simple and well known to you. 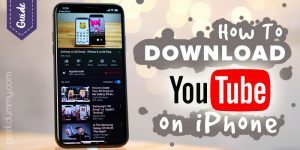 In few words – you have to download a movie from internet first (avi, mkv, mp4, mov, etc…), then copy it on the Flash Drive for iPhone… after that you can watch it on iPhone. If you never saw such a device, have a look at picture on the right. This is a Flash Drive for iPhone! It has two different connectors at both ends – USB-A and Lightning. 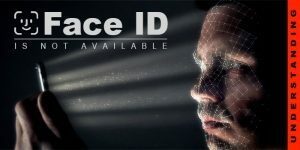 Follow to Ultimate Guide for more details and user manual on the link above. I hope you figured that out! PROS: The beauty of this method is in it’s simplicity. You don’t have to worry about video codecs, converters, iTunes etc. No internet connection is required to watch a movie. CONS: You have to purchase a special flash drive. Need to download a movie file to computer first, then copy it to the flash drive. 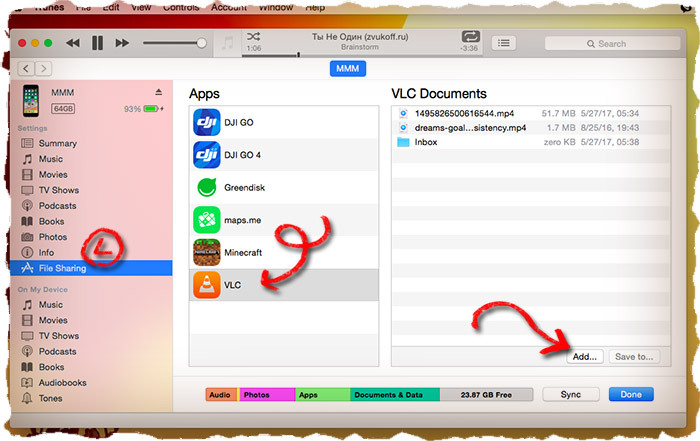 STEP 1 Download and install VLC for Mobile or PlayerXtreme on your iPhone. STEP 2 Download a movie file from the internet. All popular video formats (avi, mkv, mp4, mov, etc.) are supported by mentioned above video players. BTW, Feel free to share your sources of movies in comments below. STEP 3 Connect the iOS device to computer with USB cable. Run iTunes. STEP 4 Click on the icon of your device as shown on screenshot below. STEP 5 Now click “File Sharing” from menu on the left. 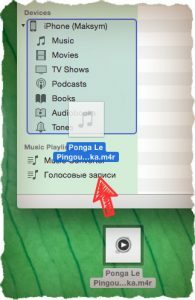 STEP 6 Scroll the middle part (Apps) and find VLC. Click on it. STEP 7 Click “Add…” button then choose movie files which you downloaded from internet before. Confirm by clicking Add. When movies are copied to iPhone’s memory, you’ll be able to watch them inside of VLC application. 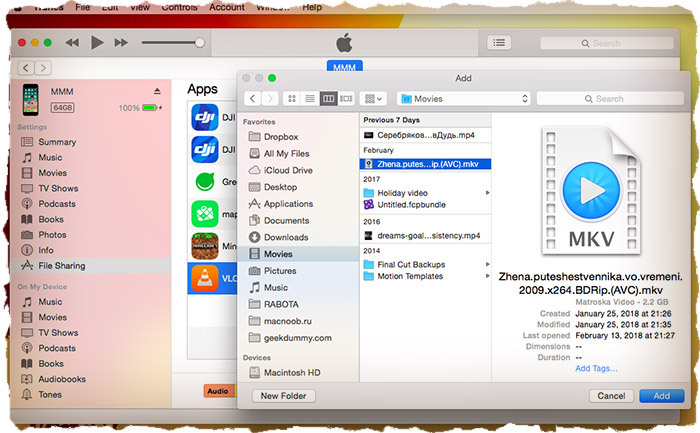 Copying videos using this method doesn’t save video files to Camera Roll or Videos app on your iPhone. PROS: This method is absolutely FREE including pirate copies of movies which you download from internet. You don’t have to worry about file formats – VLC plays everything. CONS: Pirate content. 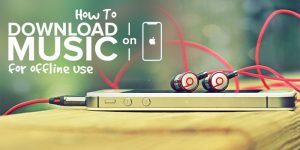 You have to use iTunes (which it not really a big deal). To my point, first two methods should cover all your needs for watching movies on iPhone. But if you think all mentioned above is too much of a hassle and you need a quicker solution, then try few following methods… Please note you’ll need a steady internet connection! Let’s be realists, we all get into situations when computers, cables and other stuff is not available. 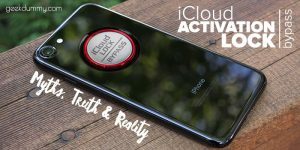 How to watch movies on the phone in this case? This is exactly what happened to me in Canada and here is the solution I found. 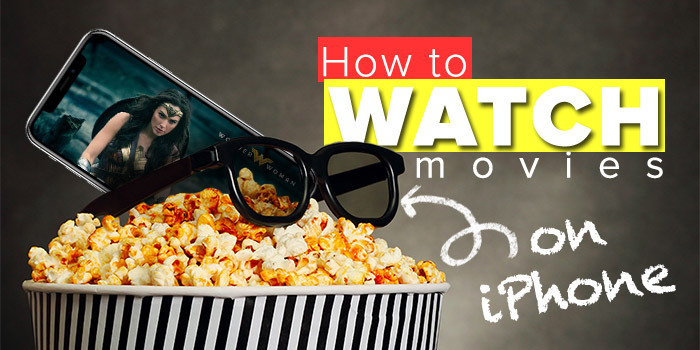 The most simple and quick way to watch a movie on iPhone is to use on-line cinemas. As long as you don’t have tight restrictions on internet daily data you can even do it on 3G/LTE connection. The rest is simple as starting Safari on iPhone and visiting one of the links below. 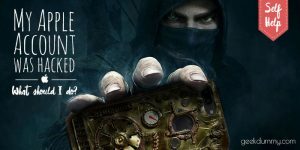 Vexmovies.org — I don’t know how they do it, but on this website you’ll find movies which had been in the cinema few weeks ago. tubitv.com — you can find real “dinosaurs” at this streaming service… How about “Scarlet Street” filmed in 1945? Relatively new movies are also available. You can download iOS app with same name for more convenience. YouTube.com — How could we avoid it? YouTube is a treasure of interesting video content (including movies and TV programs)… Just give it a try. There are obviously much more services like this. If you know any, please share in comments below and I will include them in the article. PROS: No need of a computer or cable. No need to install any Apps. Just open Safari and start watching movies. I think using these three methods you can easily watch some movies. Obviously if you want to watch latest blockbusters, you’ll have to refer to websites with pirate content such as thepiratebay3.org. If you do decide to go this way, then probably first two methods will be preferable. I strongly recommend to consider buying a Flash Drive for iPhone since it will make your life much easier. Have a good time! Don’t forget the popcorn!